It’s really a simple recipe, almost like a take on Gambas, with a couple of adjustments. 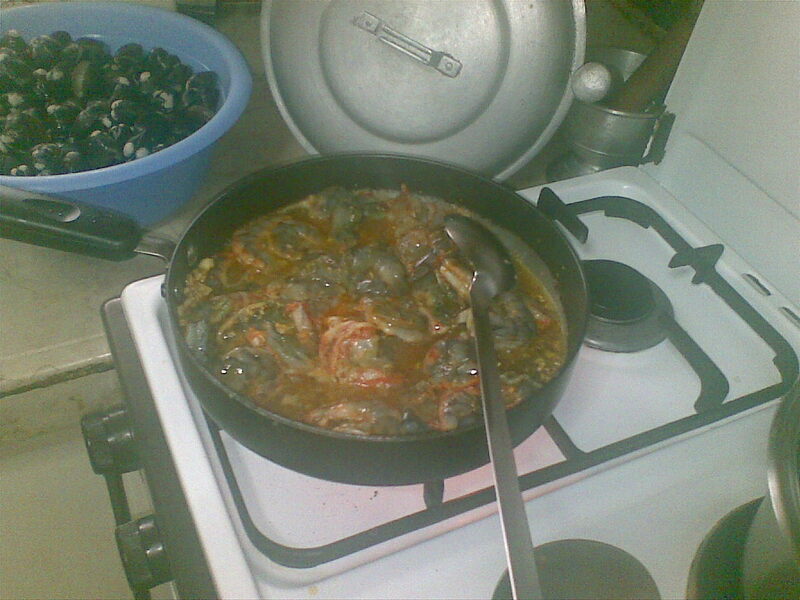 It’s easy to cook too, provided that the shrimp has been prepared beforehand. followed by a couple of steps 🙂 hahaha. It tasted of the olive oil, a very slight hint of the sugar, garlicky, sour from the calamansi to cut off the oil of the sauce, and just enough heat to want you to eat a bit more 🙂 Yummy. Heat the oil and butter in the pan. Add the garlic, the bullion cube and some chili. 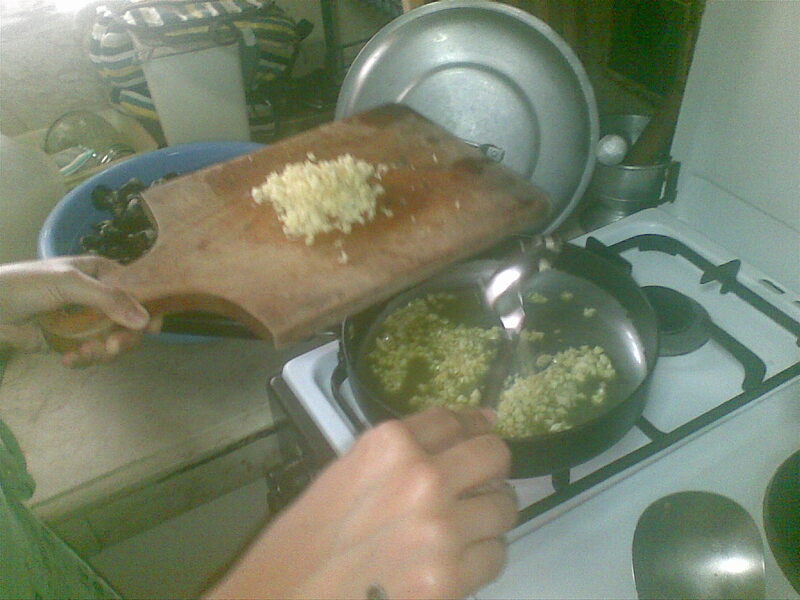 Saute thoroughly, but do not brown the garlic. 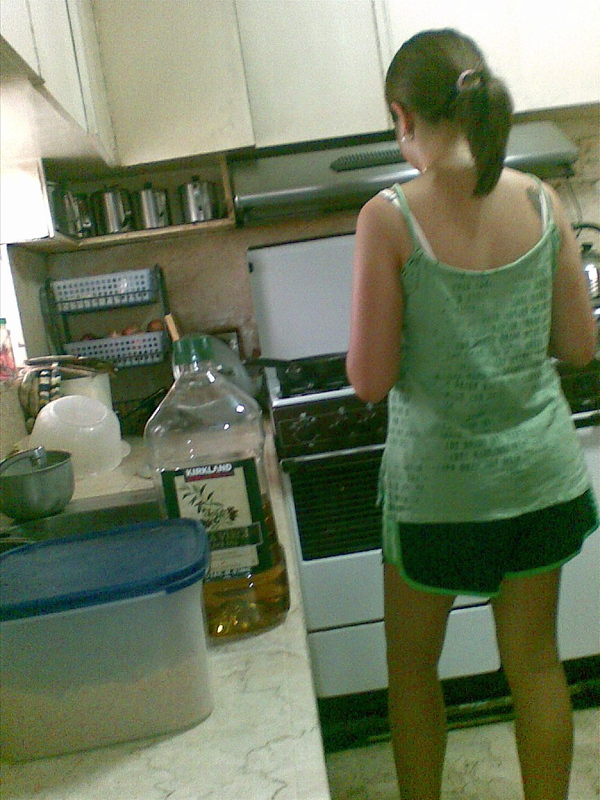 Add the shrimp and the calamansi juice. Let it cook through while sprinkling the sugar, salt, pepper and more of the chili flakes on top of it. 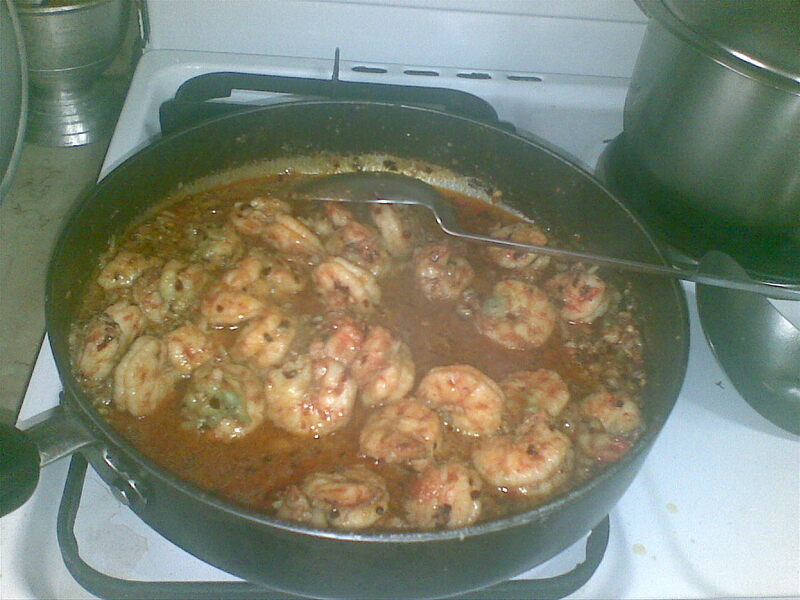 Once cooked, turn over the shrimp to finish cooking through. It will taste of all the ingredients present. 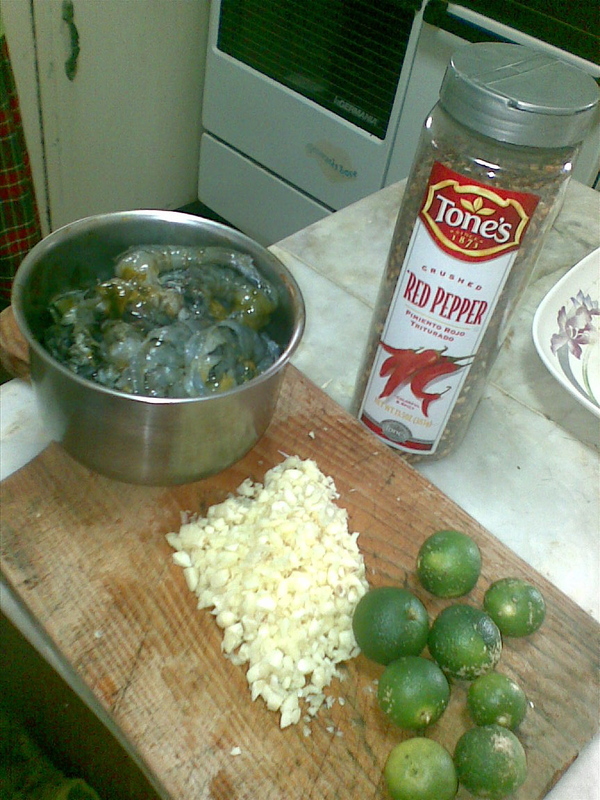 The calamansi provides a kick to what could have been a somewhat rich dish of shrimp in olive oil.